In 2006, an old Ammani villa built in 1919 was acquired by the Royal Film Commission – Jordan (RFC) and turned into Jordan’s first center for the audio-visual arts: the Film House. The center hosts educational workshops, training seminars and film screenings, offers access to a complete audiovisual library. 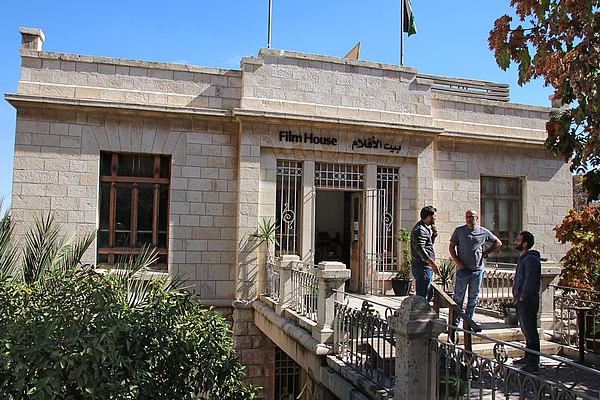 Besides training facilities and equipment, the Film House has an outdoor amphitheater, and a large terrace with an outstanding view of the Citadel and downtown Amman. The Film Café “Montage” is a popular meeting place.